As a large portion of the country is buried in snow, a countless number of emergency vehicles worked long, tireless hours to get the roads clear for everyone’s daily commute. Plowing thousands of tons of snow over a long period of time can take a toll on your 4×4 vehicle, especially the transmission. It is extremely important to be aware of your vehicle’s normal transmission fluid temperature levels so you can know when your vehicle hits the danger zone of the mid to high 200° Fahrenheit. 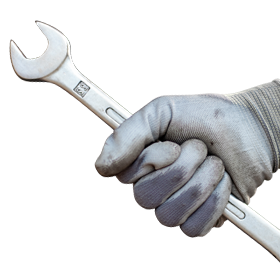 If you reach and/or exceed these levels, it is imperative that you let your vehicle idle to allow time for the transmission cooler to cool the transmission fluid so you can resume your work. Ignoring these rising temperature levels and continuing to put stress on your vehicle could lead to catastrophic damage. 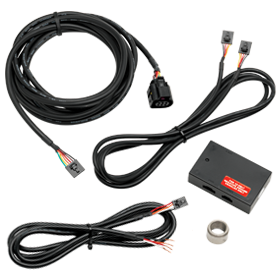 One way GlowShift can help you keep a close eye on your transmission’s temperature is by installing a transmission temperature gauge. 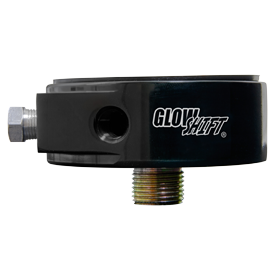 GlowShift’s Transmission Temperature Gauges feature an electronic temperature sensor that produces unrivaled accuracy as well as stepper motor technology that drives the needle of each gauge for smooth movement. 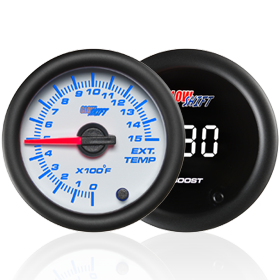 One innovative feature with our Black and White Elite Series Trans Temp Gauges that’s extremely useful is the programmable high and low warnings that will alert you visually and/or audibly when you reach the set temperatures. 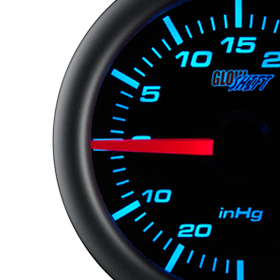 GlowShift includes all necessary sending units, mounting hardware, installation instructions, free lifetime technical support and a one year limited warranty with each trans temp gauge purchased. 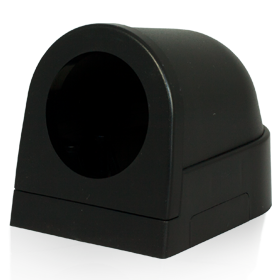 3in1 Gauges for Gas Vehicles are In!